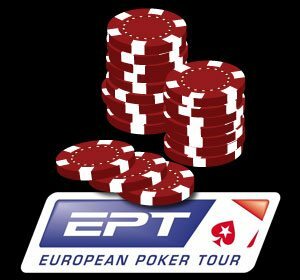 San Remo in Italy was the last stop in the eighth season of the EPT that just wrapped up. A total of 847 paid the €4,900 buy-in, which brought the total prize pool up to €3,734,694. This meant that the first place prize was a handsome €680,000. When the final table started, Kevin Macphee was the short stack and Andrew Pateychuck was in fourth place. PokerStars Pro Johnny Lodden finished on the final table bubble in 9th place for €45,000. Lex Veldhuis, another PokerStars Pro, finished slightly behind him in 15th place for €22,000. Macphee ended up playing just one hand at the final table, folding the first 34 he was dealt. He tried to make it look like he finally got a hand with the 35th dealt, pushing in the small blind with 56 off suit. Poker pro Barny Boatman knew that he was not strong, however, and made a good call with suited Q7. Macphee whiffed and was out abruptly in 8th place. The chip leader of the final table was Daniel Neilson at the start, but it wasn’t meant to last. He got into a huge pot with Pateychuk, and Pateychuk was way ahead of Neilson AK vs A9. There was no 3-outer to be found, which meant that Pateychuk now had a healthy chip lead. Neilson made it to 3-handed, but then he was finally eliminated by Dimitar Danchev. When it became heads-up, Pateychuk and Danchev decided to chop the prize pool and play for €80,000. Heads-up play went on for quite a while until finally Danchev got the last of his chips in with KQ suited against the pocket sevens of Pateychuk. Pateychuk held on to win the race, which earned him the extra money as well as the EPT title! Loutraki saw 336 players show up over two Day 1’s at €4,400 a piece. After all was said and done first place topped out at €347,000. The very first finisher at the final table was German pro Mario Puccini, better known as Pokerccini in the online arena. He got in the last of his money with KQ suited against A8 offsuit but was unable to connect. He busted in 8th place. Shortly after Puccini busted, a huge pot ensued. Pierre Mothes opened, which was met by a reraise from Hauke Heseding. The reraise, however, was then met by a four bet reraise all-in by Andras Kovacs. Mothes folded and Heseding made the call with QQ. He was against the AK suited of Kovacs. Going into the river Kovacs had overcards and a flush draw, but he just couldn’t get there. This means that he was done in 6th place. Mothes was destined to hit the rail as well, since his top two pair was no good against the flopped flush of Zimnan Ziyard. He had to settle for 5th place. Heseding got it in once again in a big coinflip situation with AQ against the 77 of Florian Schleps. Heseding’s hot streak continued as the flop came down Q5Q. The turn 5 sealed it and Schleps was finished in 4th place. The Greek cheering section had their man in John Taramas holding strong with three left. However he was unable to go any further than that as he jammed in his last chips with 97 suited and was called by Heseding’s AT offsuit. The QJT rainbow left Taramas with just the final four eights in the deck as his outs. Taramas missed his small chance and was ousted in 3rd place. Ziyard and Heseding settled into what turned out to be quite the exciting heads-up battle. However, it was not to be for Heseding as he made a gigantic bluff on the river against Ziyard and was covered by less than one big blind. That left Zimnan Ziyard the champion of the very first Greek EPT.